Before you consider purchasing new light bulbs, it’s important to decide what type of lighting fits your needs the best. Most of the time, this will lead you to an LED lighting. Do you understand what the LED craze is about? 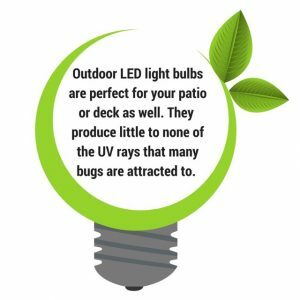 Keep reading to learn why you should choose LED light bulbs and fixtures! According to energy.gov, traditional light sources, like incandescent light bulbs, haven’t truly seen technology upgrades since Thomas Edison’s days in the late 1800’s. The design we use now is basically the same filament design that Edison created. Did you know that the amount of heat (aka, wasted energy) expelled by an incandescent light bulb can bake a pie?! It’s way past the time for a change. Thank goodness LED lighting was discovered. Essentially, the filament in an incandescent bulb (the thing that breaks and it rattles when you shake the light bulb) has been replaced with another component, called a diode. This diode prevents energy from essentially leaking out, giving an LED light bulb nearly 25x longer lifespan than an incandescent bulb. On average, it would take 30 incandescent bulbs to replace just 1 LED bulb. The low amount of energy consumed, and the long lifespan is why lighting specialists suggest LED light bulbs and fixtures. The greener, more energy efficient LED choice is so much more sophisticated than standard incandescent light sources. 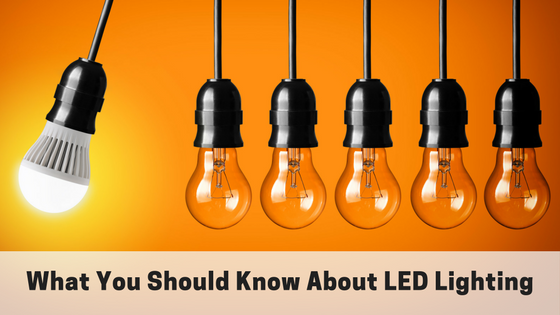 Because of this, LED products demand a higher price tag. Although they cost more upfront, in the long run, LED lighting could eventually save you thousands of dollars. If you purchase an LED light bulb that states it is rated at 50,000 hours, that means it is expected to produce 70-100% of the original light output for 50,000 hours. If you only use that light source for 8 hours per day, it should not “burn out” for 6,250 days! Chances are, you’ll have to replace your light fixture before you have to replace your LED light bulb. So, if you haven’t jumped on the bandwagon already, start running. California is enforcing new regulations that retailers can no longer sell any light bulbs that don’t meet these new standards. Of course, they’ll be allowed to sell off their old stock, but it’s going to be a frenzy for the consumers new to the LED game. You’ll see these regulations start to spread, and by 2020, it should span the nation. So, how can you incorporate these amazing lighting products in your home or business? It’s easy! Before purchasing your new LED products, think about your future use of dimmers or other controls you would like to incorporate into your life. Most importantly, if you’d like to save time and money by getting your purchases right on the first try, bring in a lighting specialist.